Hi everyone. This is yukitan of Waka and Yuki. Thank you for coming to the fashion show on 2010.01.25 5AM SLT. We were suprised that we could welcome more than 70 ppl at the show. We really appreciate it. And we have received tons of requests about MODEL HAIR 14 LIMITED. Most of requests were ‘How can I get that hair after the show?’. So this is a big new from us ! We are going to open all of our shops in Waka and Yuki SIM in February 2010. To celebrate our grand opening, we’re pleased to offer MODEL HAIR 14 LIMITED as a group gift. In February, we are going to annouce when the grand opening day will be. And this item will be available for one week from the day of grand opening. 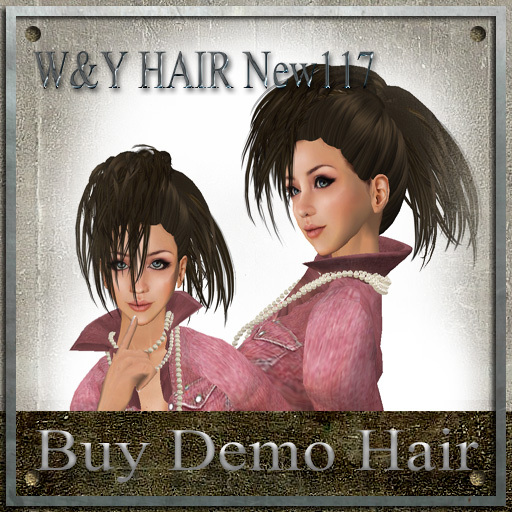 We annouce a new release of MODEL HAIR 14 today and this is the limited one for a fashion show, being held on January 25th, 2010. The show is coming up soon. Please check out in detail as below. This is a great show featuring DRESSES from “Sascha’s Designs” and HAIR from “W&Y” !! Special thanks, Sascha’s Designs’s owner&designer,Sascha Frangilli, and W&Y’s owner & designer, yukitan Farrjones & WAKA Flow. Remove all attachments like AO,FACE LIGHT and so on to reduce lag of the SIM,Please. The LM for this show above is as below. We’re very sorry that MODEL HAIR 14 Limited version will be releasing only for this show. Please come by to grab this stuff ! 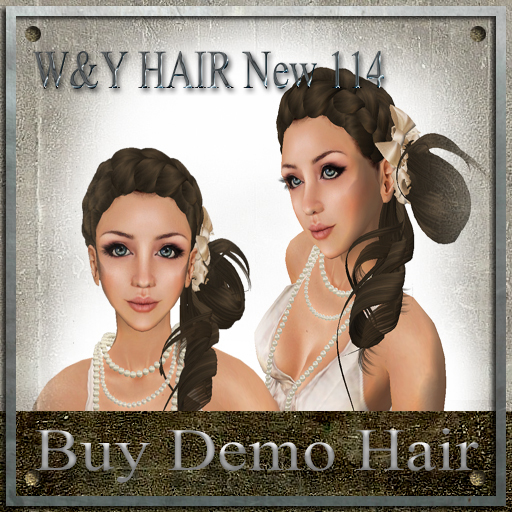 We annouce a new release of MODEL HAIR 14 today. 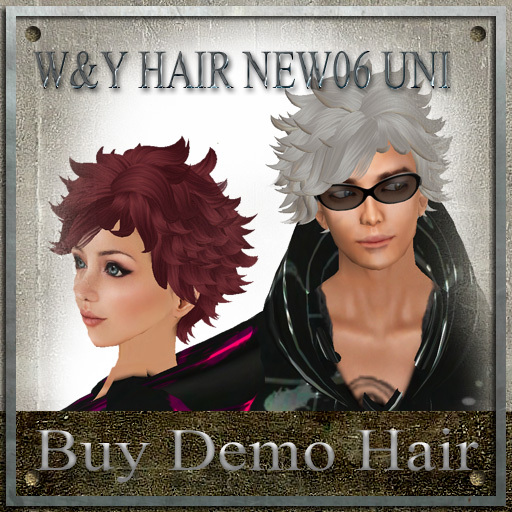 This hair is available on sale at main store in Waka and Yuki SIM. And this is the limited one for a fashion show, being held on January 25th, 2010. We’re going to have a fashion show tomorrow. Please see as below. Notice: We are very sorry the LM for this show hasn’t been announced yet. Please visit this site later to get a LM. We’re going to annouce about this show on this site, too. 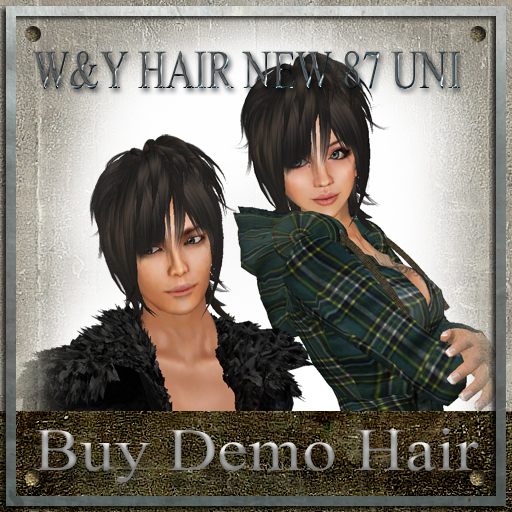 Waka and Yuki – Model Hair 12,13 released .. and more. Hello, this is yukitan Farrjones. How are you today? 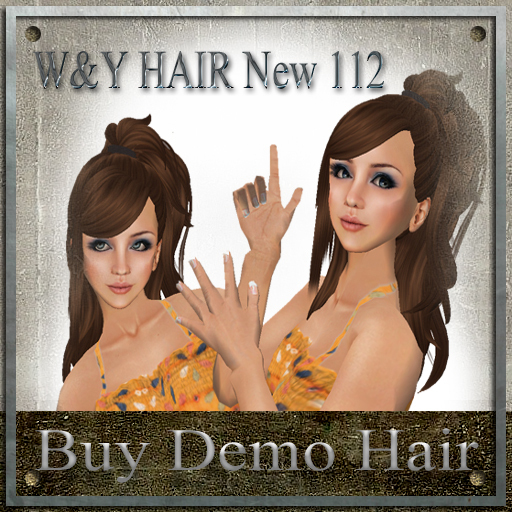 2 MODEL HAIR series and No.117 went on sale this week. Let me introduce them one by one. MODEL Hair 13 is a retro-flavored short hair in the big flower motif. We can change the colors of the flower by a dialog menu. We recommend this cute hair with a cool dress. 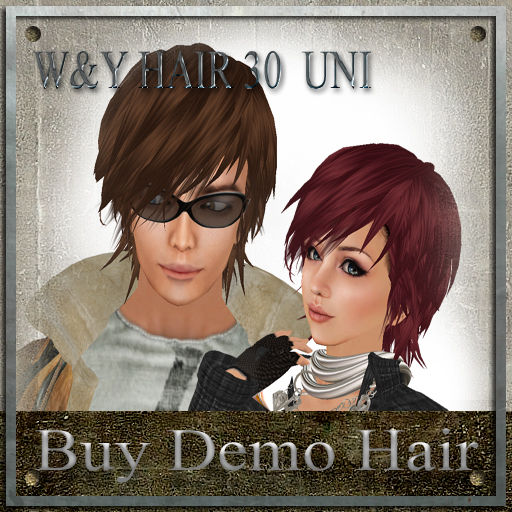 MODE Hair 12 also has been released. We can toggle hairband on/off and change the colors of jewerly. And the last one is No.117, Mohawk haircut !?. We call it ‘soft-mohikan’. This is an interesting one for me ! 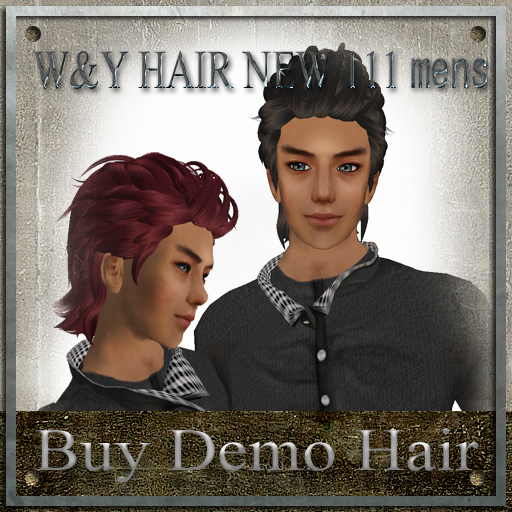 These new items are available on sale at Main Store only ( currently in a skybox at Waka and Yuki SIM ) . 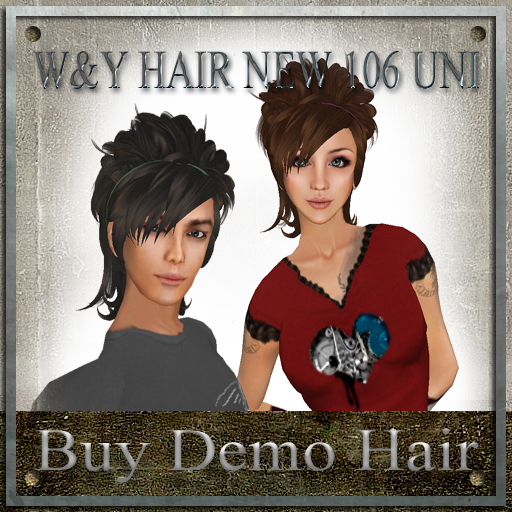 Please try demos at Waka and Yuki SIM ! A new release for the second day in succession ! 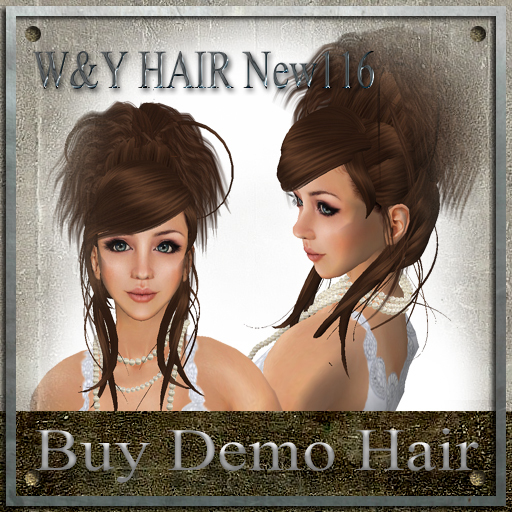 W&Y HAIR New 116 is available on sale now. This is a standard hair style but everyone fits this cute one for sure ! These items are on sale only at main store ( Waka and Yuki SIM ). Please pick up demos here at Waka and Yuki SIM ! New release from Waka and Yuki on January, 13th 2009. 4 new items are released from Waka and Yuki. The key word is “bangs”. We paid much attention to show our bangs more attractive. Please try demos to experience cute, cool and attractive bangs. And a lucky board item is updated, No.114 pink. As we annouced before, we have moved the main store. The new main store will be in the WAKA and Yuki SIM. The TSUKIJI store will remain as a branch store. The new SIM will open completely at February 14th. However, we have set up a main store in a skybox for the time being. We will try our best to ensure you can shop conveniently, so please bear with us. Thank you for loving our products. We greatly appreciate your support. 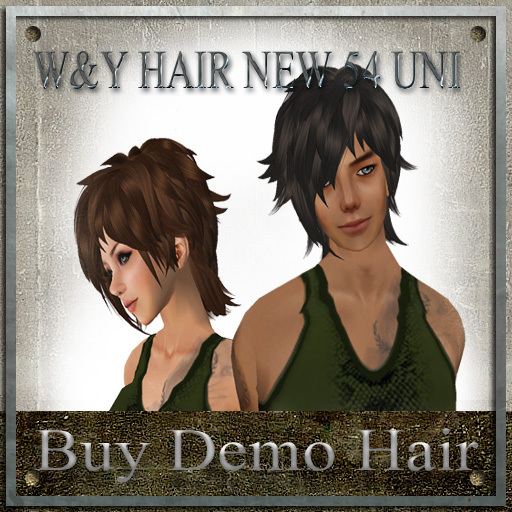 We have released several styles of men’s/unisex hair, so let us introduce all of them. Unisex items are also released as below. 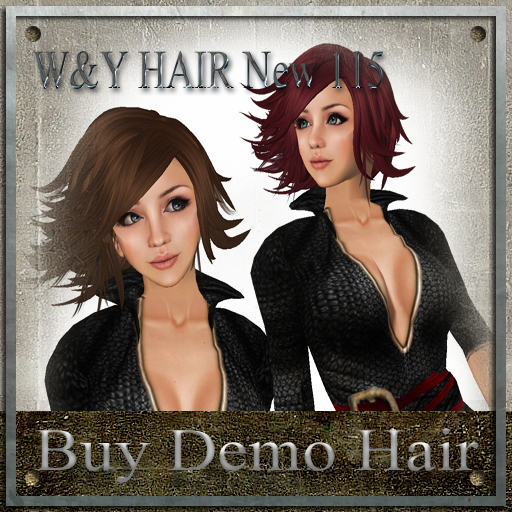 Many improvements have been made to the W&Y hair products! Please come by to try demos !